A high-tech, specialized buoy has been launched to collect useful information for developing wind farms offshore the U.S. East Coast. Equinor Wind US said it deployed the cutting-edge buoy as it works to develop its offshore wind lease site in the New York Bight. The Floating LiDAR (Light Detection and Ranging) device will measure wind speed, wind direction, wave conditions and several other marine characteristics that help inform critical decisions in regard to the resource potential and eventual development of the wind farm. It will be deployed to record this information for two years. 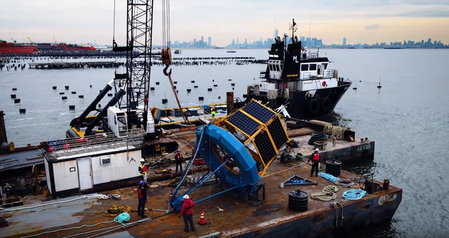 The floating system, using solar panels, wind turbines and large batteries in its hull, can operate autonomously throughout a full winter season offshore.